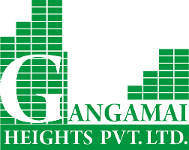 Gangamai Heights Private Limited is one of the group company of Padmakar Mulay Group of Industries. The Company has taken over the business, Assets and liabilities of firm Sameer Constructions and continued the business in civil constructions. Various big residential schemes are to be taken in future.